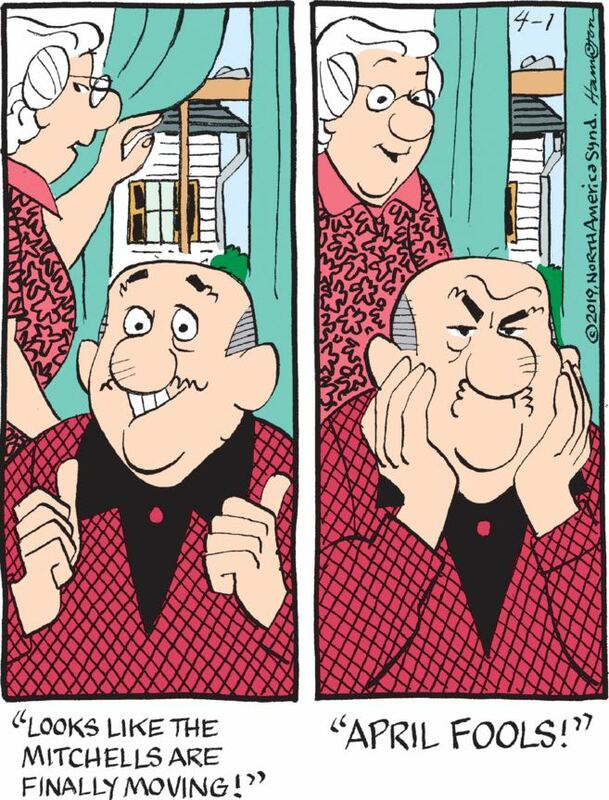 Funky Winkerbean, to its credit, constantly does the bit where one character tells a joke that utterly fails to land and then has to explain or justify it, and that explanation is somehow supposed to be the “punchline” of the comic. 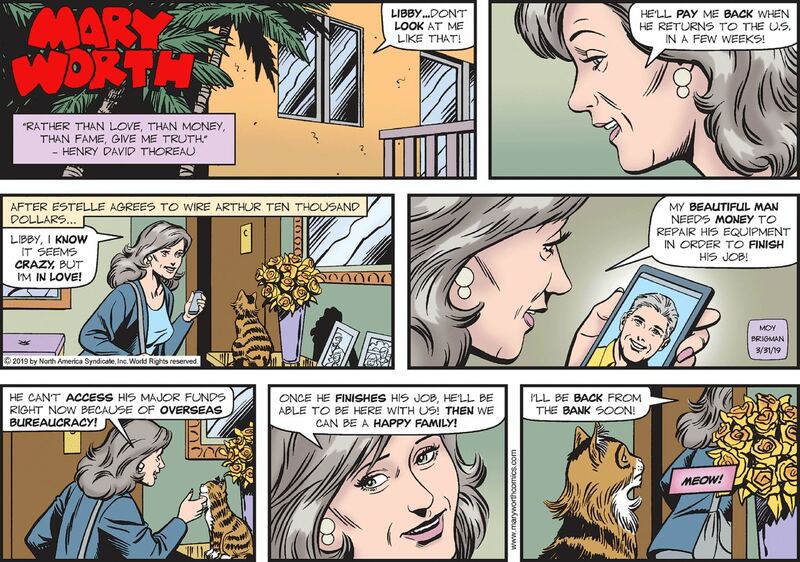 This strip doesn’t need April Fools Day as an opportunity demonstrate that the whole process of trying to make other people laugh is a frustrating and ultimately fruitless endeavor. Hey, how’s it going with Funky’s mother-in-law moving in with him and Holly? Well, it’s been, what, two weeks, and already he’s hoping she’s gonna die of a pill overdose on the toilet. Folks, take it from me, a guy who spends way too much time hanging out alone with, and talking to, cats: when you try to convince your cat that you’re making the right decision, you know in your heart you aren’t making the right decision. If you’re a regular reader of this blog, it will come as no surprise to you that I’m the kind of guy who would read these throwaway panels in Sunday’s Beetle Bailey and wonder, “Say, can you stream old Lassie episodes?” Turns out you can’t! So that means I have to smugly give these panels “four pinocchios,” in the parlance of our fact-checking press. Unless … there’s a special Dogflix service that provides streaming dog-related content, and it’s only available to dogs? This is a mystery I will now dedicate my entire energy to cracking!